This loaded Australian burger is not for the faint of heart. But, if you’re up for the challenge, you will be rewarded by the stellar combination of flavors that is an Aussie Burger. 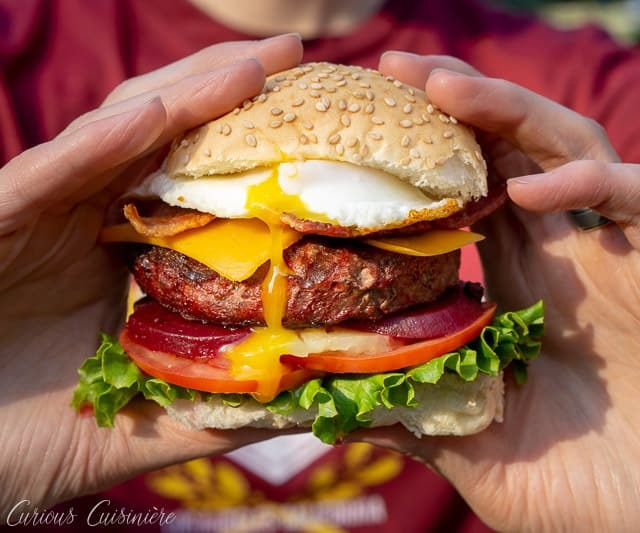 When you load a burger with egg, bacon, onion, pineapple, pickled beets, and more, you get a combo that is unlike anything you have ever tasted! 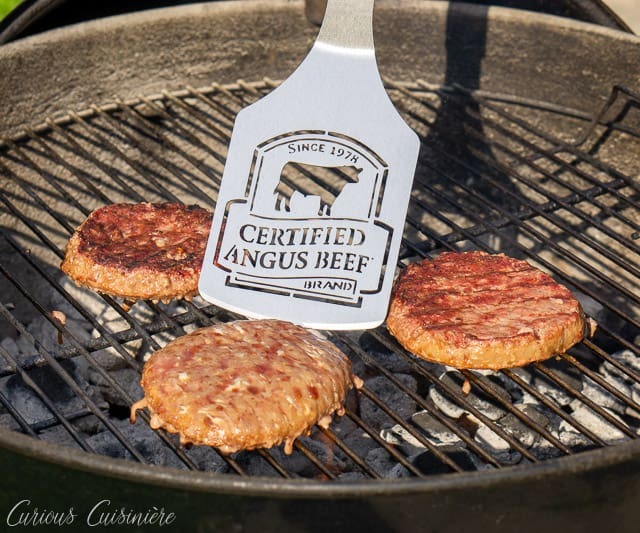 DISCLOSURE: We received samples of the Certified Angus Beef ® brand hamburger patties mentioned in this post. Honestly, we would have used Certified Angus Beef ® brand beef even if we hadn’t been given the patties. We just love their beef that much. You can read about why below. 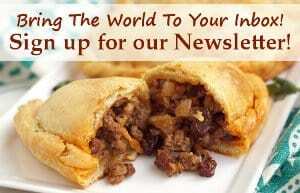 What Is A Traditional Australian Hamburger? Turns out, Australians really like their burger toppings. Now, we love a good loaded burger. Blue cheese, bacon, avocado, mushrooms, grilled onions. Give us the works! But, when we saw the list of toppings for a traditional Australian hamburger with the works (also known as “the lot”, we stopped dead in our tracks. Lettuce, tomato, and cheddar cheese. Sounds like a good standard so far. Onions, bacon, and a chili mayo sauce. Bring it on. Grilled pineapple. Sure, why not? A runny fried egg. We’ve seen it done before. We’re still on board. Pickled beets…. Sorry. You lost us. Don’t get me wrong, I have a mild obsession with anything pickled, and beets top that list, but on a hamburger, with pineapple, bacon, cheddar cheese, and a fried egg? I just couldn’t wrap my mind around it. But, we refuse to be bested by any burger. So, we vowed to give it a try, in its full glory, before we formed any opinions. Turns out, wrapping our mind around the concept of flavor combinations in this Australian burger was the least of our worries. As we piled our sturdy bun high with toppings, we started to wonder how we were going to wrap our mouths around the six-inch tower. Now, some people would argue that all these toppings just take away from the flavor of a good ol’ hamburger patty. I mean, why do you need quality beef with all those other flavors going on? But, we’d argue just the opposite. 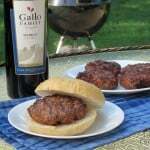 Good beef, a good hamburger patty, is what anchors all the other flavors in this hamburger together. The robust meaty flavor of a good beef patty anchors the acid of the pickled beets and the sweetness of the pineapple. A beef patty with quality beef has the perfect texture to complement the melting cheese and crisp lettuce. 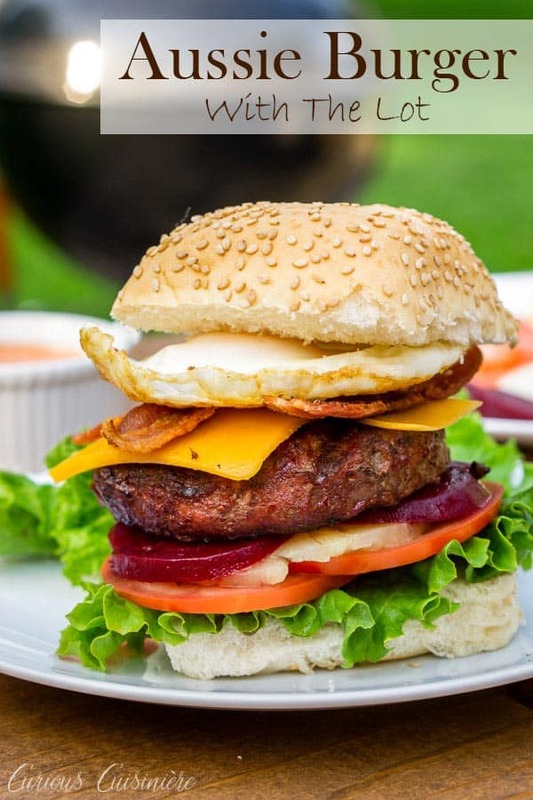 And, the juiciness of a perfectly cooked hamburger patty is just what you want to mingle with the runny goodness of the fried egg. 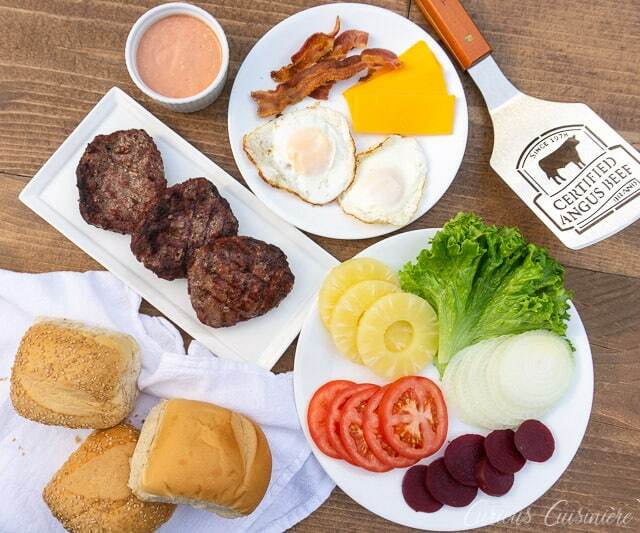 We typically make our burgers from scratch using Certified Angus Beef ® brand beef, because we know that their beef is always going to be incredibly flavorful and juicy. Basically the two most important things when it comes to a burger. We typically stay away from frozen patties because they come out dry and seriously lacking in the flavor department. 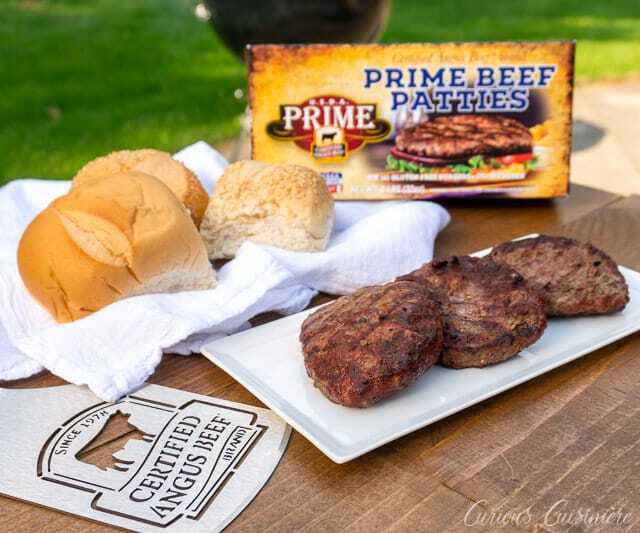 But, when we were sent these Prime Beef Patties from Certified Angus Beef ® brand, we were excited to see what a different Certified Angus Beef ® brand beef would make, even in a frozen patty. 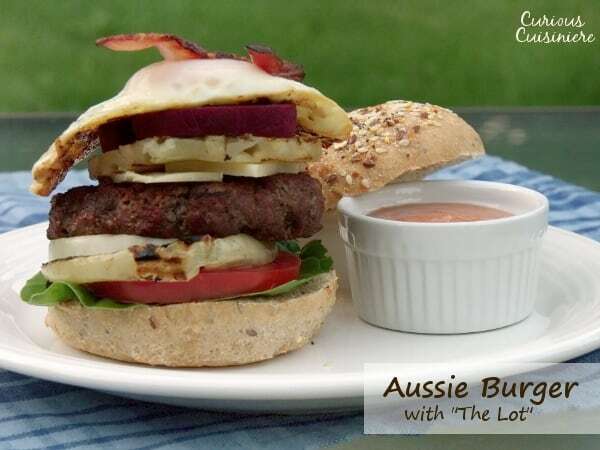 And, after tasting them, we knew that they would be the perfect base for this glorious Aussie burger. 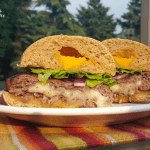 We give you instructions for making your own burger or using a pre-made burger in the recipe below. But, if you choose to use a pre-made, frozen burger patty, do your Aussie burger a favor and look for a Certified Angus Beef ® brand patty. 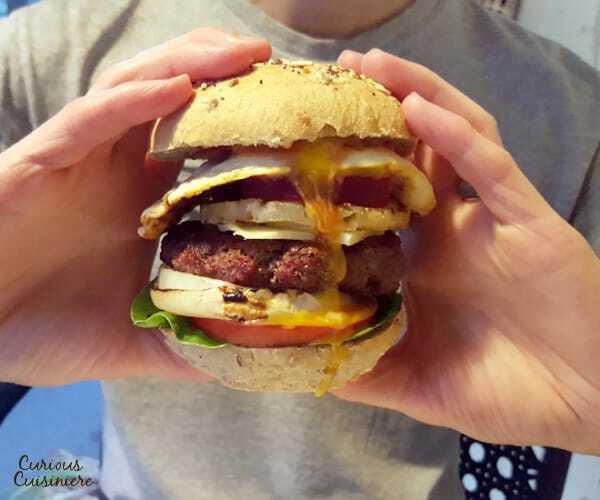 So how does this monstrous, loaded burger taste? 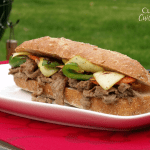 Each bite was the perfect combination of sweet and tangy, fresh and meaty, creamy and sharp flavors. The pickled beets add a bright sweetness and sharp acidity, like you would get from a sweet cucumber pickle. 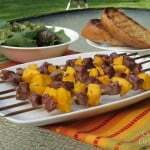 The flavors of the beets mesh perfectly with the pineapple and cut through the robust and rich flavors of the beef and bacon. The cheddar cheese adds a sharp creaminess, while the egg and chili mayo add additional layers of creamy goodness. The spice from the chili mayo is just enough to add a flavor undertone, but not enough to add a whole lot of heat. And, let’s not forget the saltiness and crunch of the bacon that, although almost lost in the sea of toppings, adds supporting flavor and a bit of texture to this sea of creamy goodness. It’s a burger you have to get your whole face into. But, oh my goodness, it is worth it. 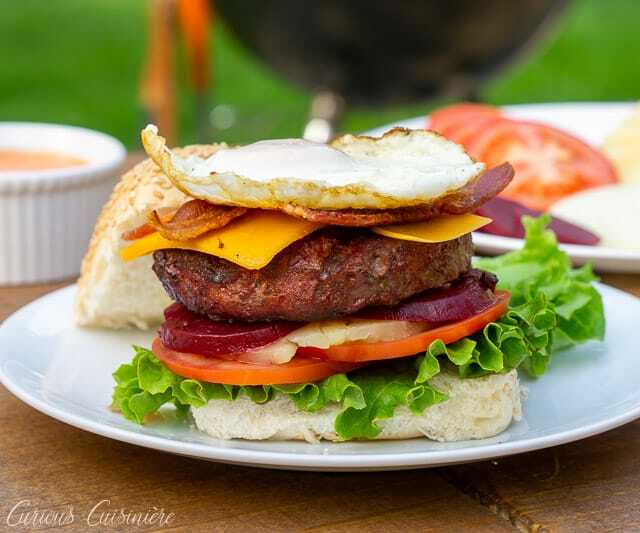 This loaded Australian Burger is a mile-high burger with egg, bacon, cheddar cheese, pineapple, pickled beets, and more. 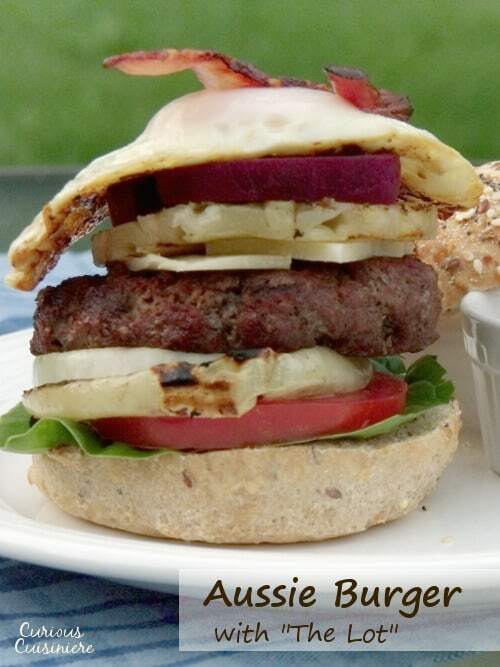 If you love burger toppings, this one is for you! In a small bowl, mix together ketchup, mayonnaise, and hot sauce. Set aside. Fry your bacon in a medium skillet over medium high heat until cooked to your preferred done-ness. Remove the bacon from the skillet and place on a paper towel lined plate. Crack the four eggs into the hot bacon grease and fry the eggs until the whites are cooked, but the yolks are still jiggly, 2-3 minutes. Remove the fried eggs from the pan. Place the burger patties on the pre-heated grill. Cook for 5-7 minutes on each side, until firm and cooked to your desired done-ness. 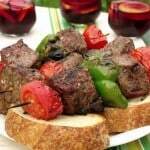 (Actual cooking time will depend on the thickness of the burgers and the heat of your grill. If using packaged burgers, refer to the package instructions.) 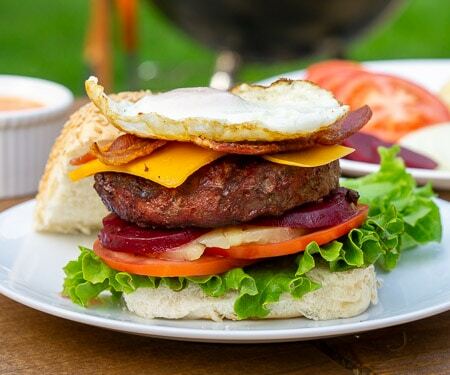 Remove the burgers from the grill and let rest for 2-3 minutes, covered with aluminum foil to keep warm. Construct the burgers by layering lettuce, tomato, pineapple, beets, and onion on one half of the bun, followed by the burger patty. Continue, layering the cheese, bacon, and finally the fried egg. Top everything off with the top bun, slathered with the chili mayo. Un-hinge your jaw and get ready to enjoy this epic tower of a burger! 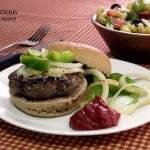 INGREDIENTS 1 lb ground beef, 85% fat, 1/4 tsp salt, 1/8 tsp ground black pepper. INSTRUCTIONS In a medium bowl, mix together beef, salt, and pepper. 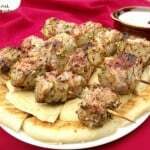 Divide the meat into four portions and shape each portion into a 3 ½ - 4 inch patty. Set the patties aside. ** If you like, you can grill your onions and pineapple rings. -- Take a toothpick and push it through the side of the onion slices to hold the rings together on the grill. Brush the onion slices and pineapple rings with a little olive oil and grill until you get nice grill marks. 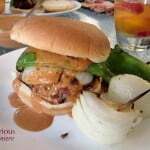 One more thing, swap out the chilli mayo for an Australian BBQ sauce, typically Fountain or Heinz brand, and you then have the perfect burger recipe. Also wholly agree with the lightly toasted bun thing, and don’t melt the cheese over the pattie. Thanks for your thoughts Matt. Could you describe Australian BBQ sauce? Is is sweet? Tomato-y? Molasses heavy? Etc. Thanks! What a find! I bet it was delicious! Hi Jane. Thanks for your note! Can you elaborate on how the beets are prepared in your experience? Are they simply boiled, rather than being pickled? This might be a language issue – “beets” in Australia usually means leafy stuff, like silverbeet, but the pickles are always the root. Plus most Aussies never eat it any other way than pickled – when an Aussie talks about beetroot, they mean pickled unless specifically stated otherwise. So roasted beetroot, fried beetroot, raw beetroot salad, but just “beetroot” = pickled in vinegar. Thanks Anwyn! This is really insightful. Separated by a common language! There used to be an Aussie Deli here in town and that was the first time I had an Aussie burger. Now you have me craving one, Sarah! Thanks for participating in this. I completely lost track and didn’t get a recipe done. But I’m still making the rounds and sharing. Thanks for stopping by Cam! Someone should open an Aussie Deli in Wisconsin. I think it would be a hit! Thank you so much for paticipating in this event! I have been liiving in Australia for almost 10 years now, but the first time I had one of these burgers, I was shocked!! hehehe But they do taste great! Beautifully presented too! It is such a unique combination of flavors. You’d never guess they all work so well together. 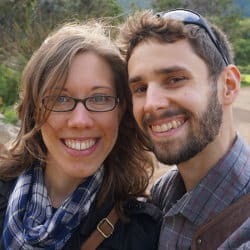 Thanks so much for putting this event together!